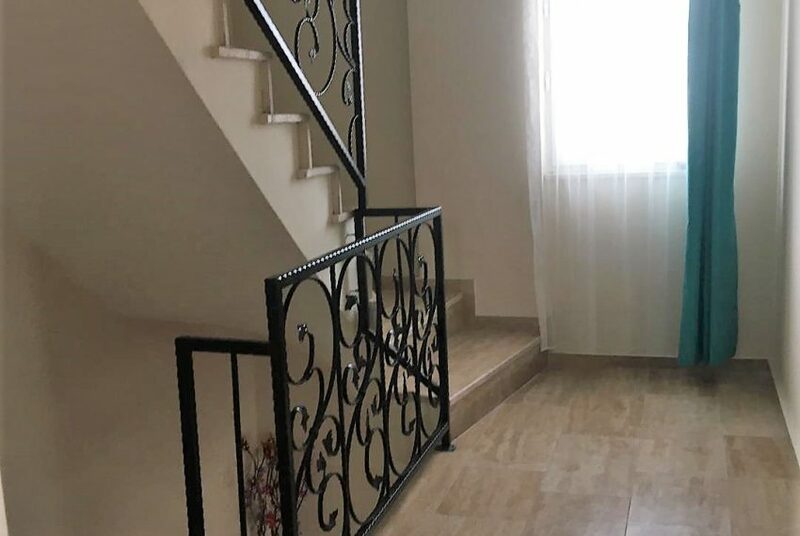 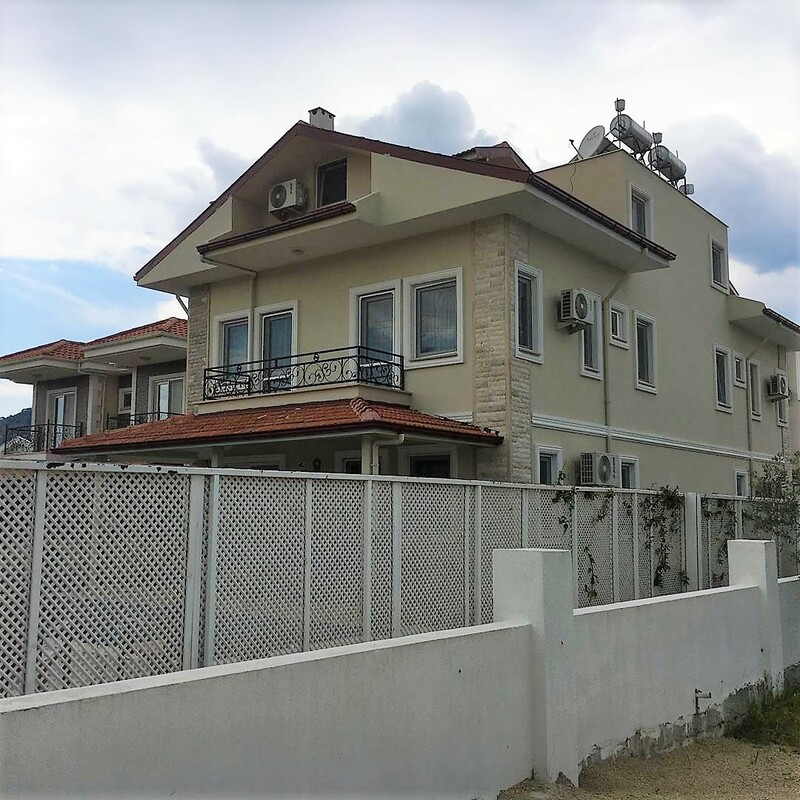 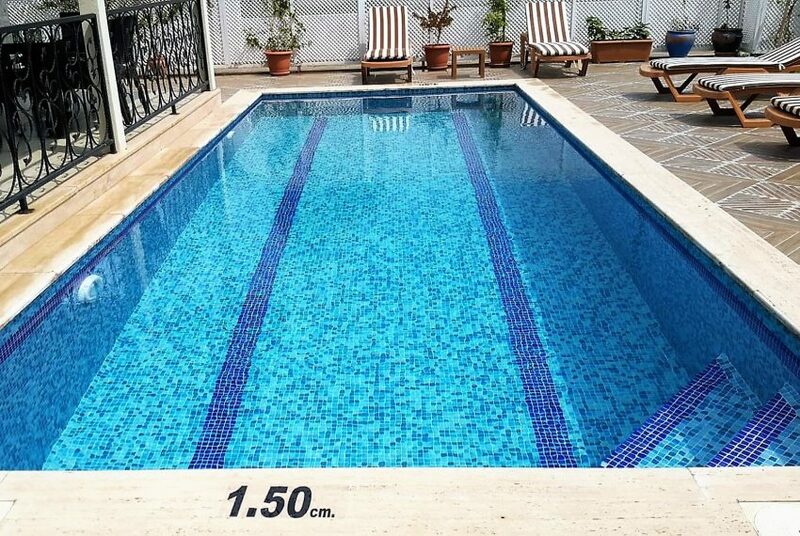 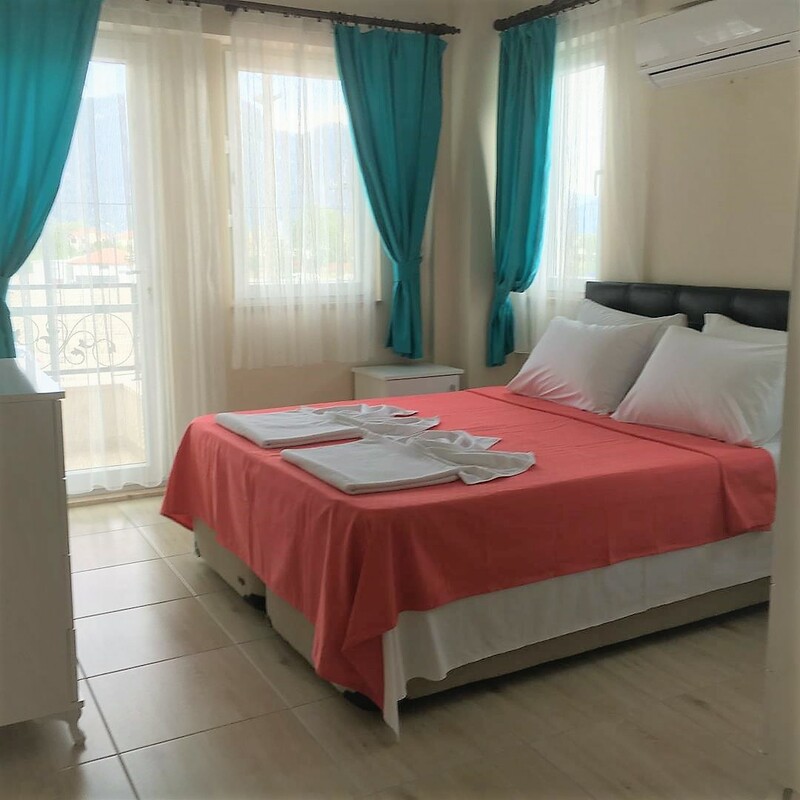 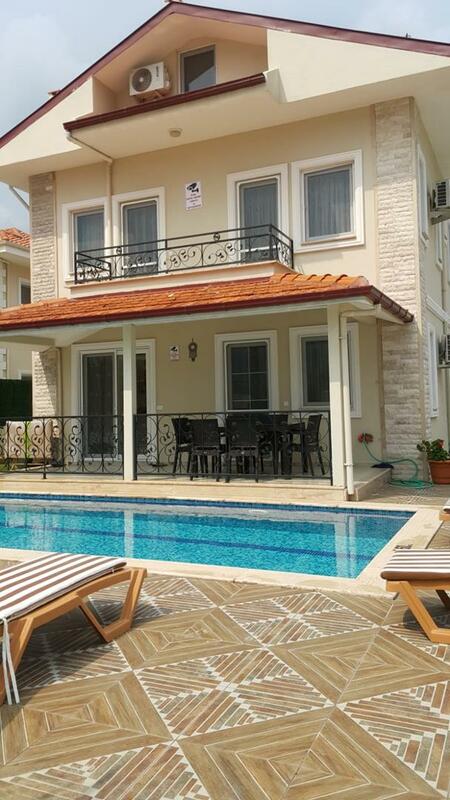 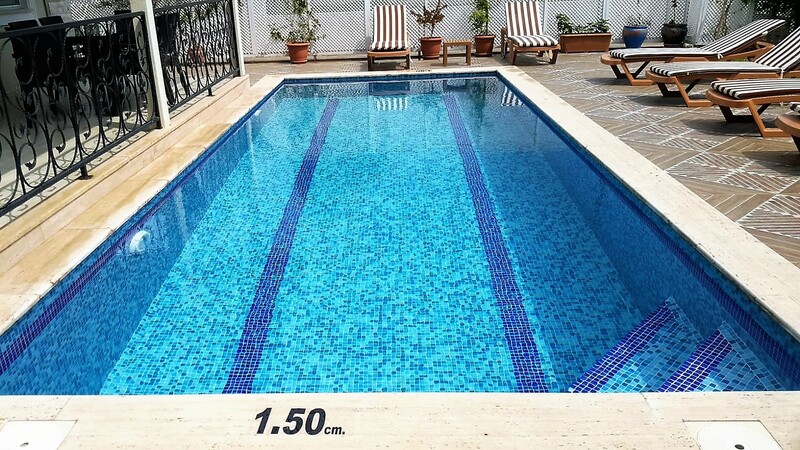 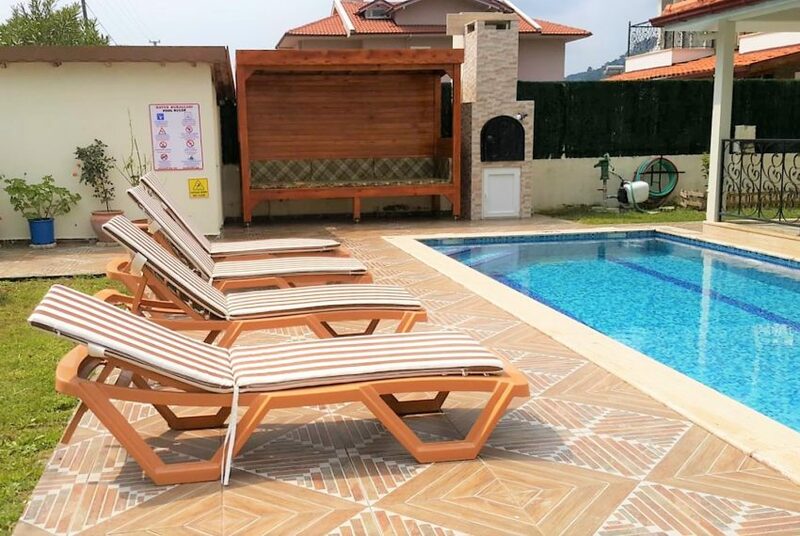 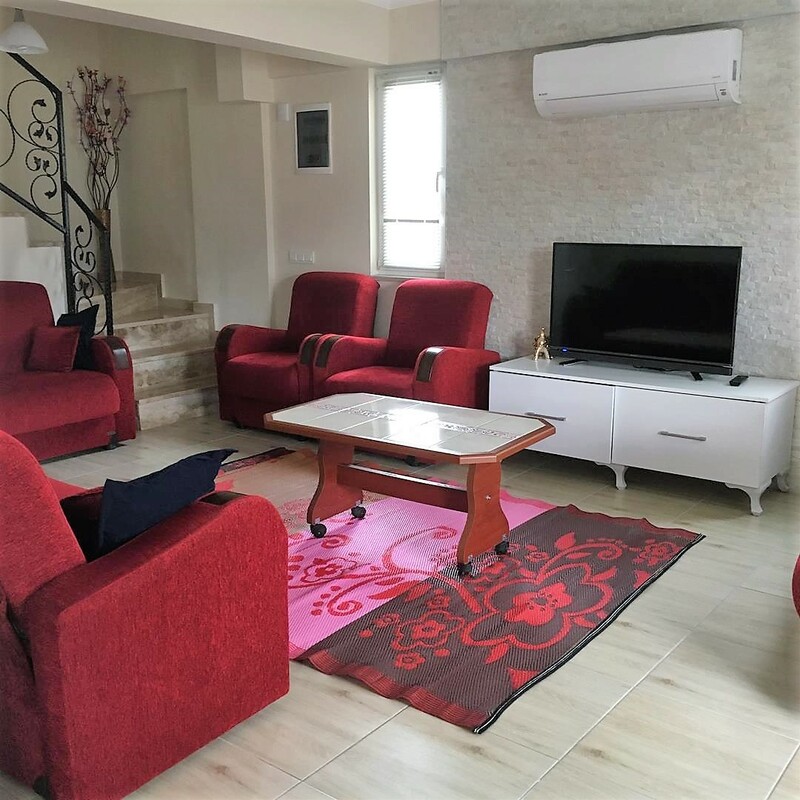 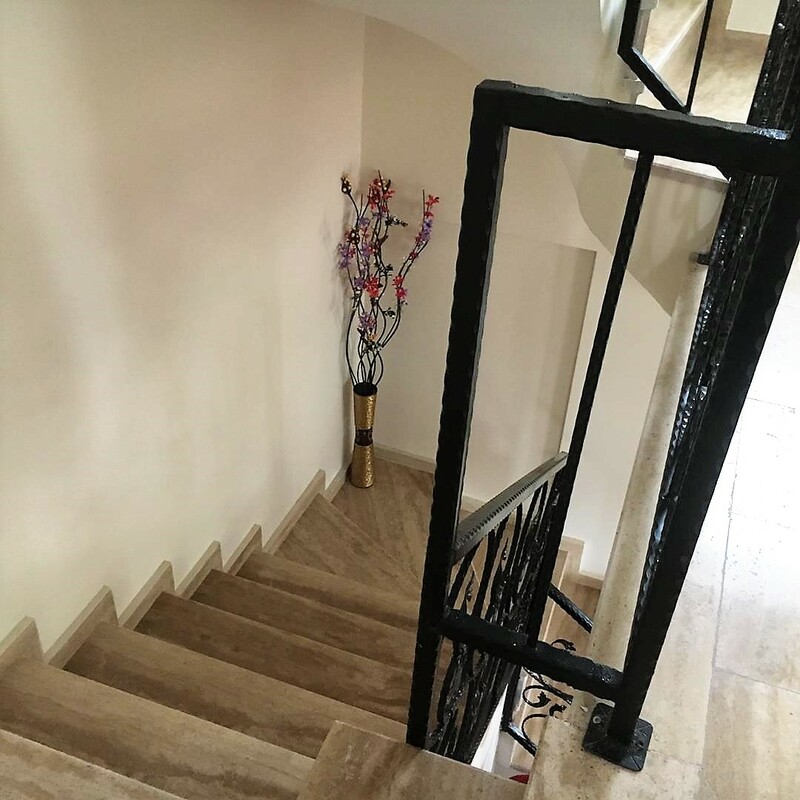 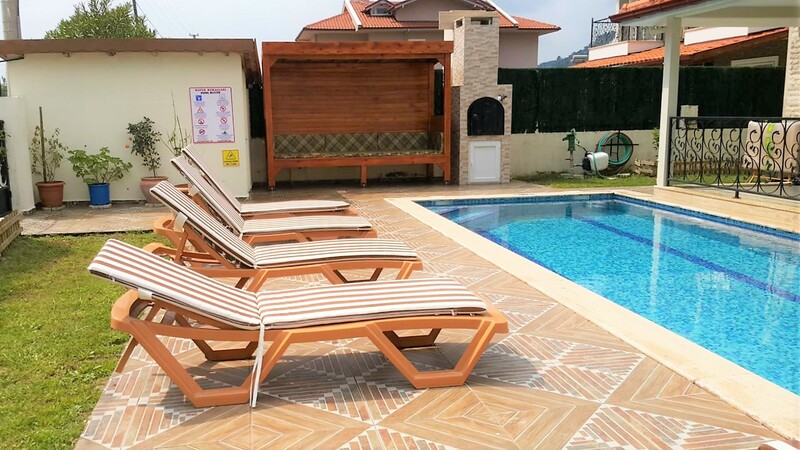 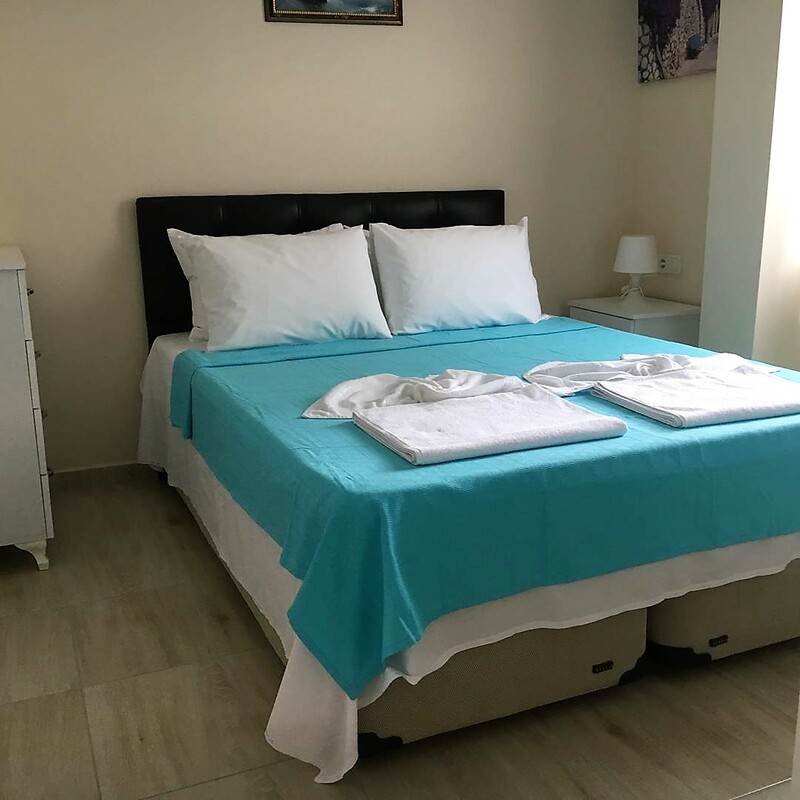 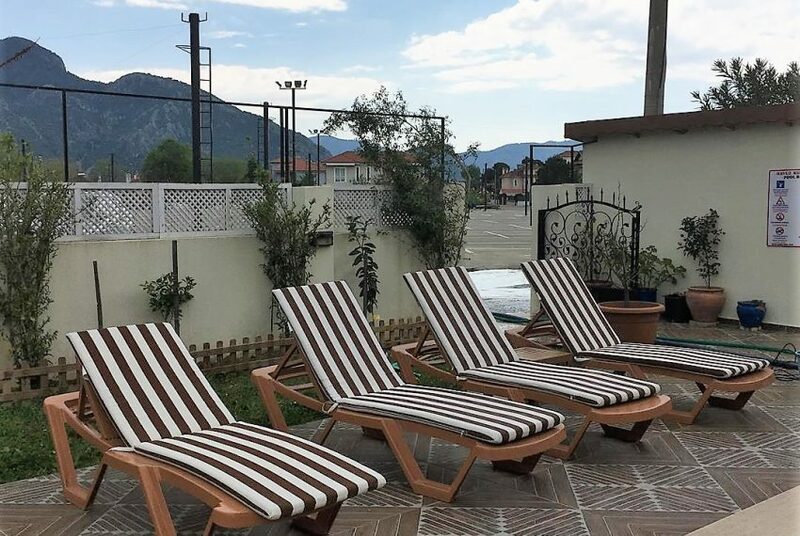 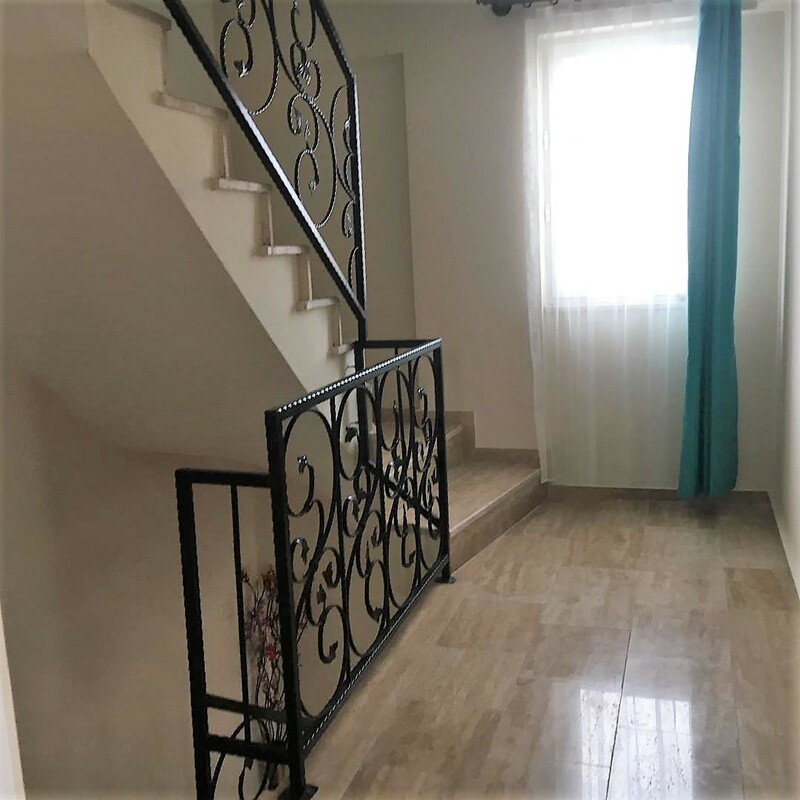 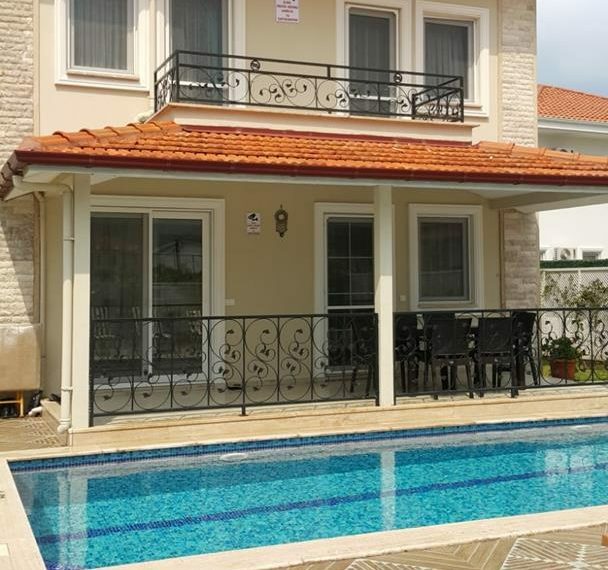 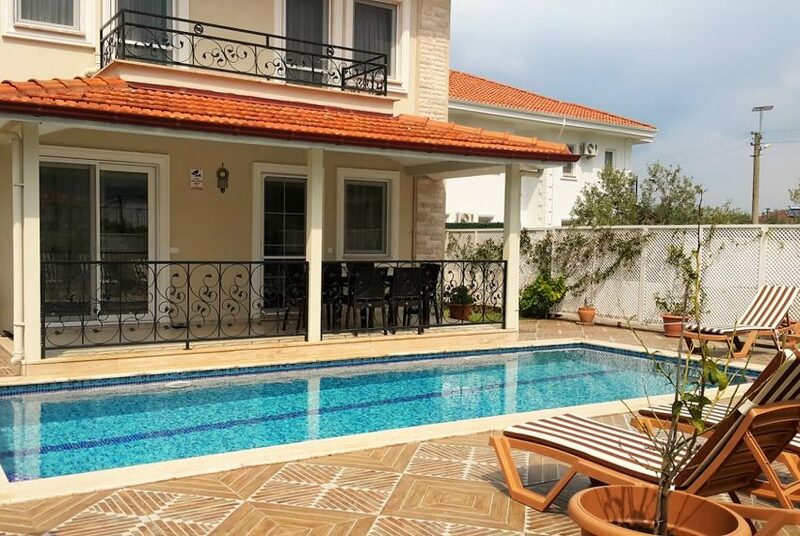 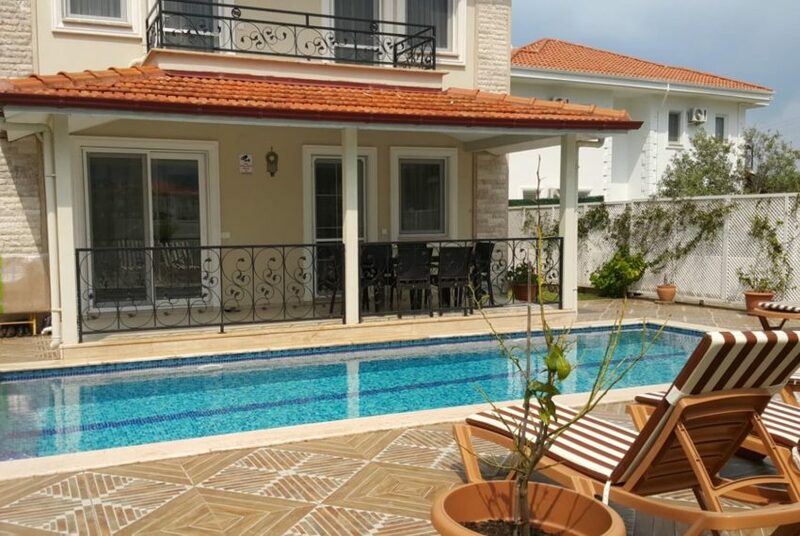 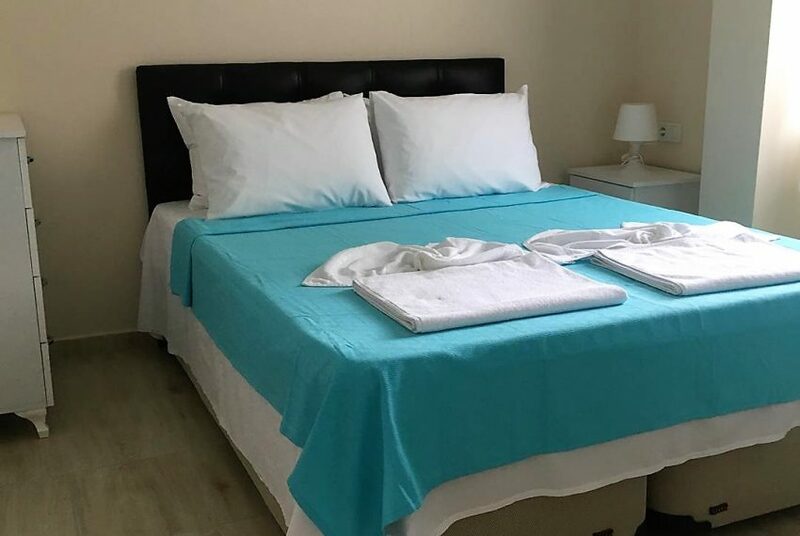 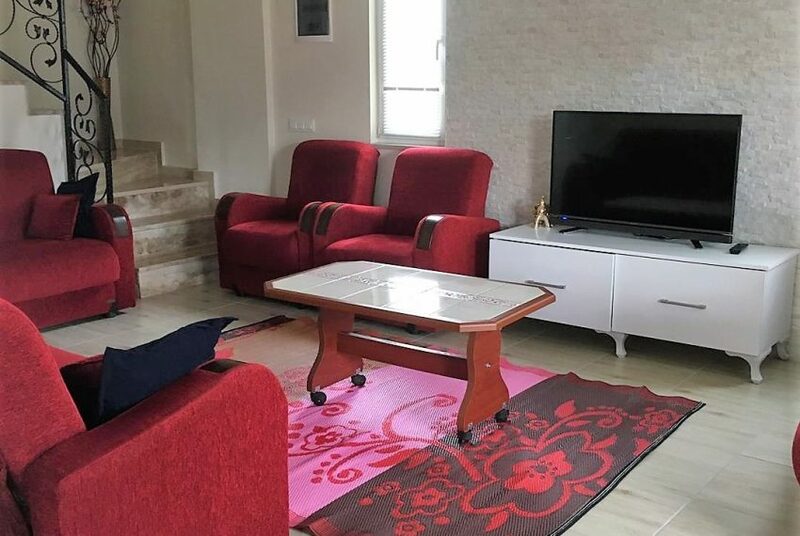 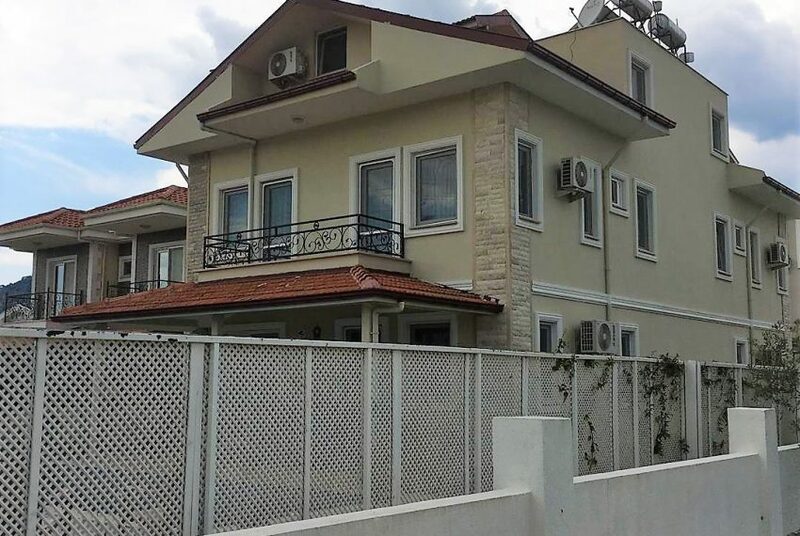 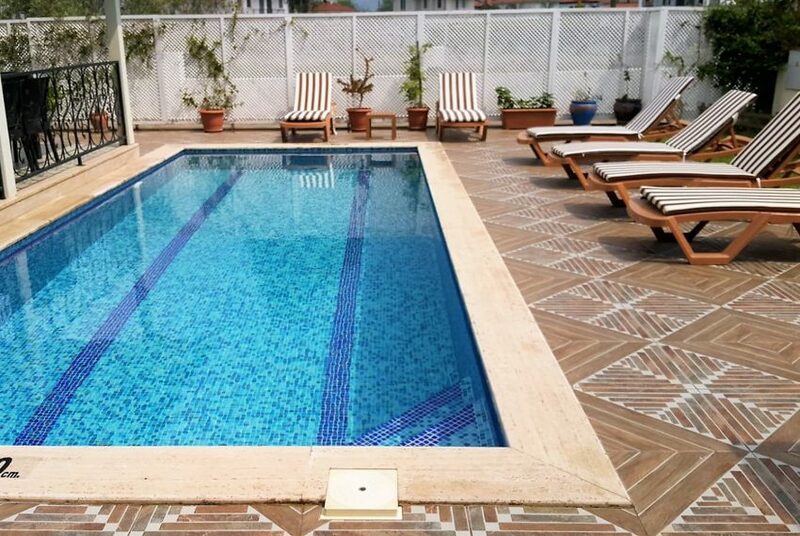 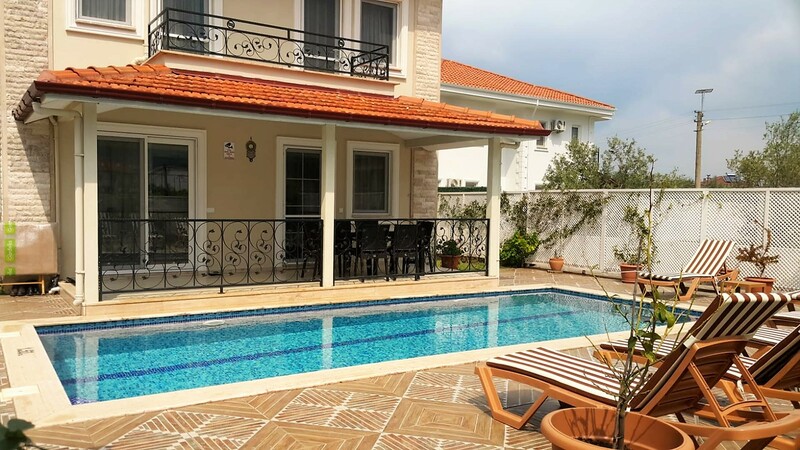 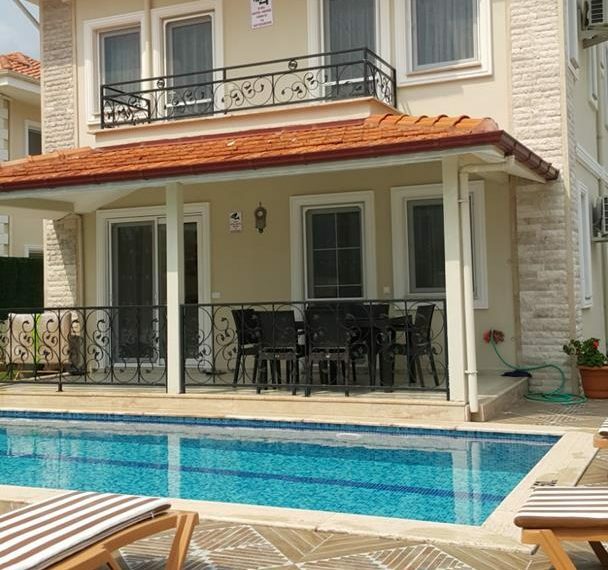 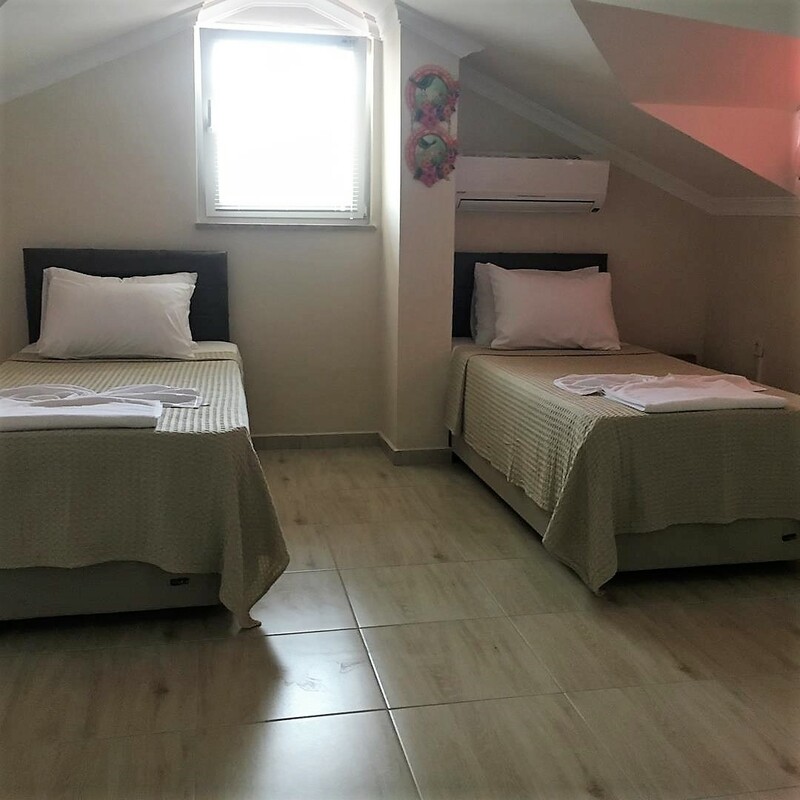 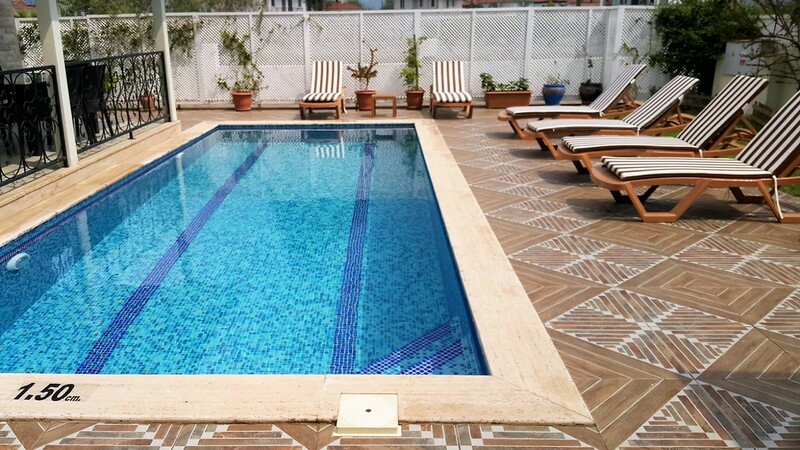 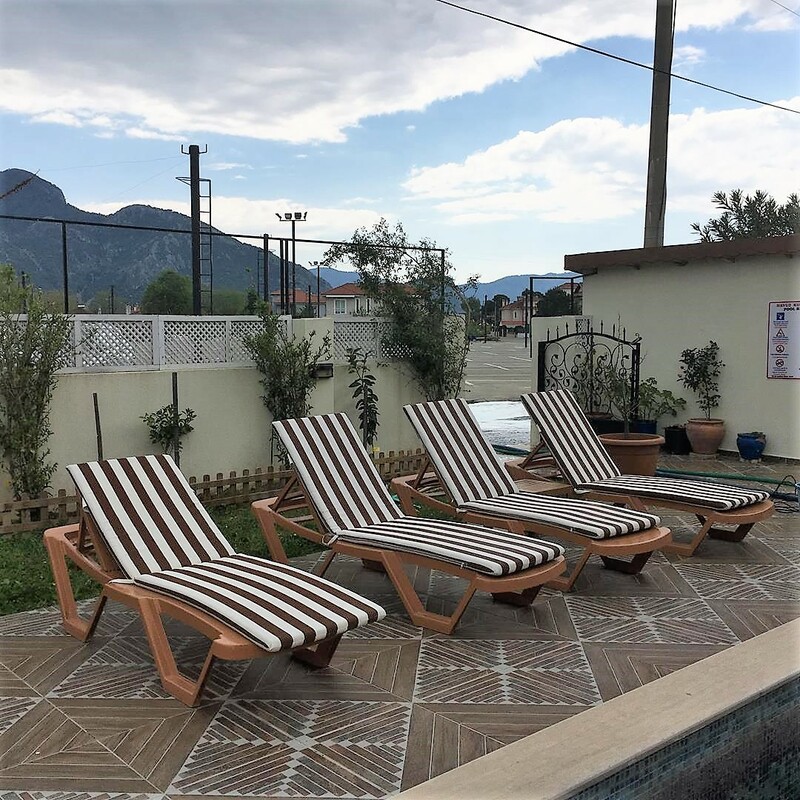 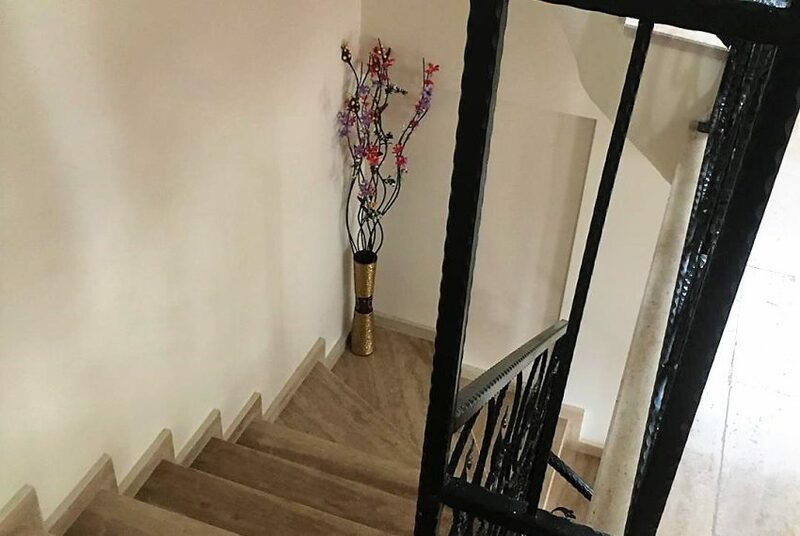 Villa Carin is a detached 4 bedroomed villa just a few minutes walk to the centre of town Just off the main street of Ataturk Bul, in the new market square. 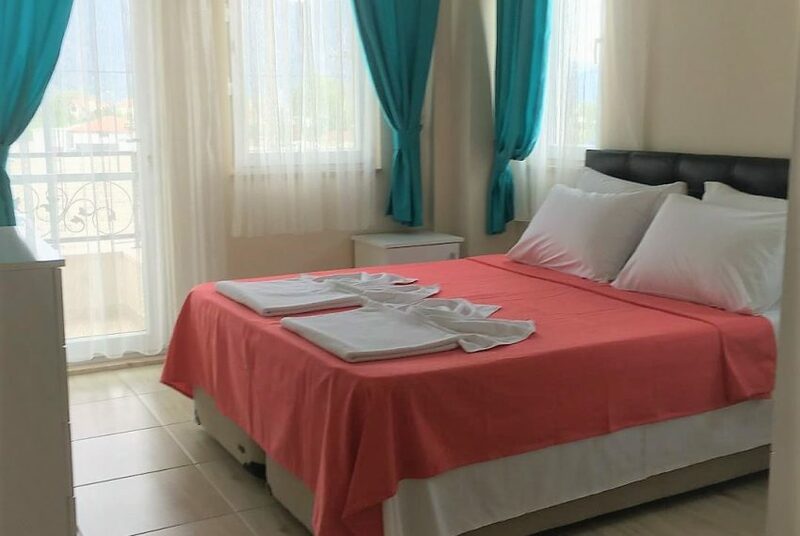 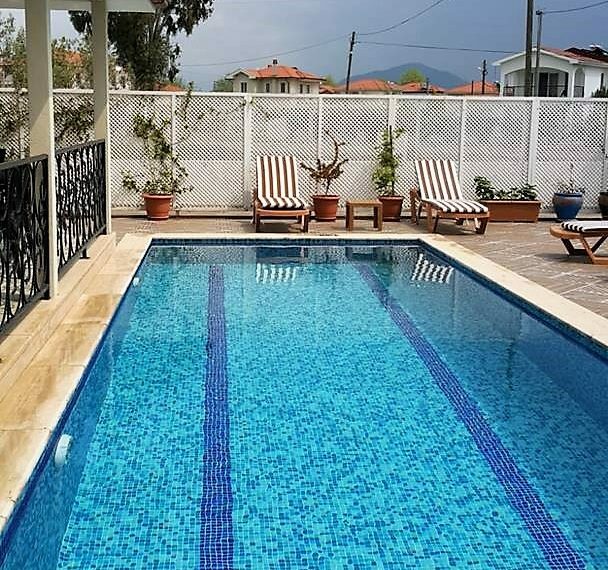 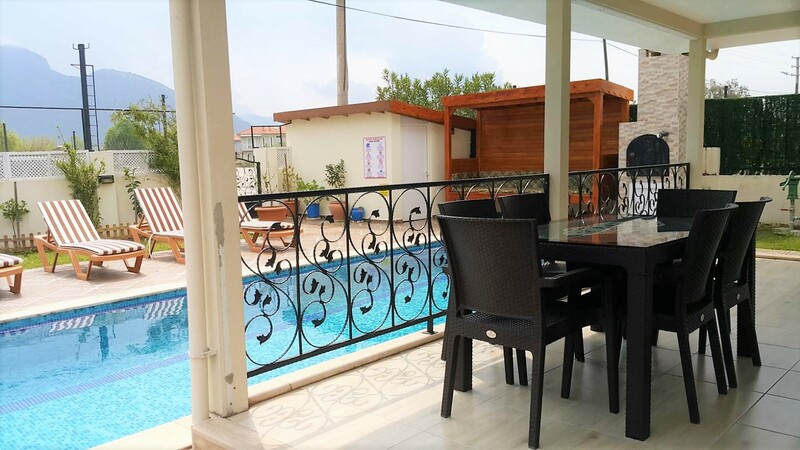 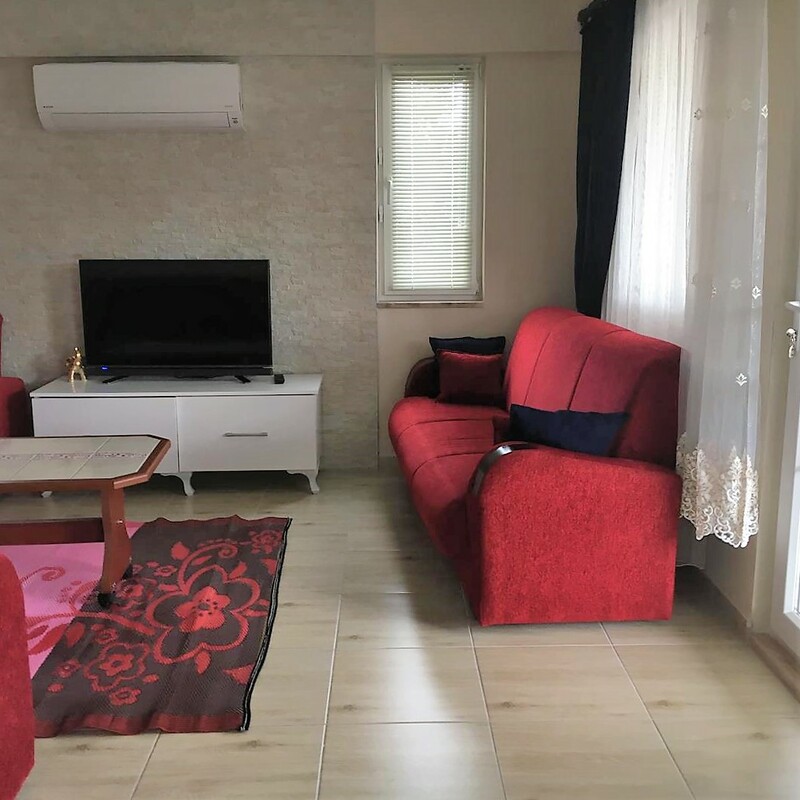 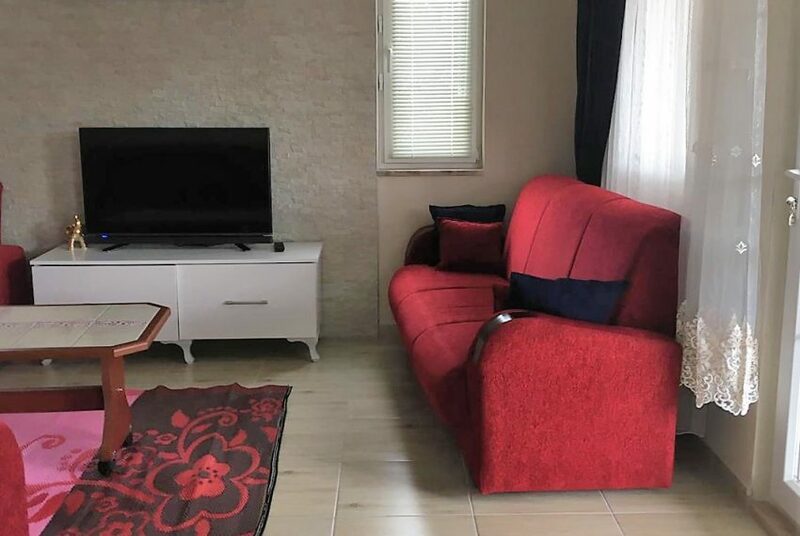 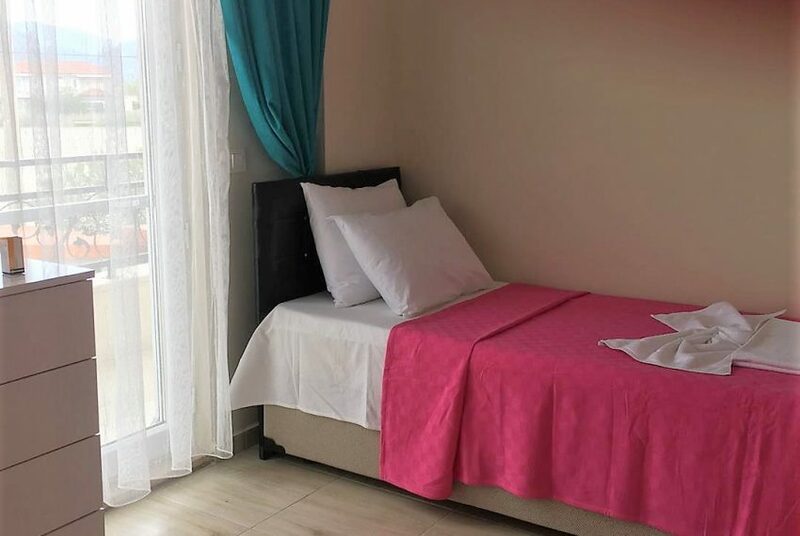 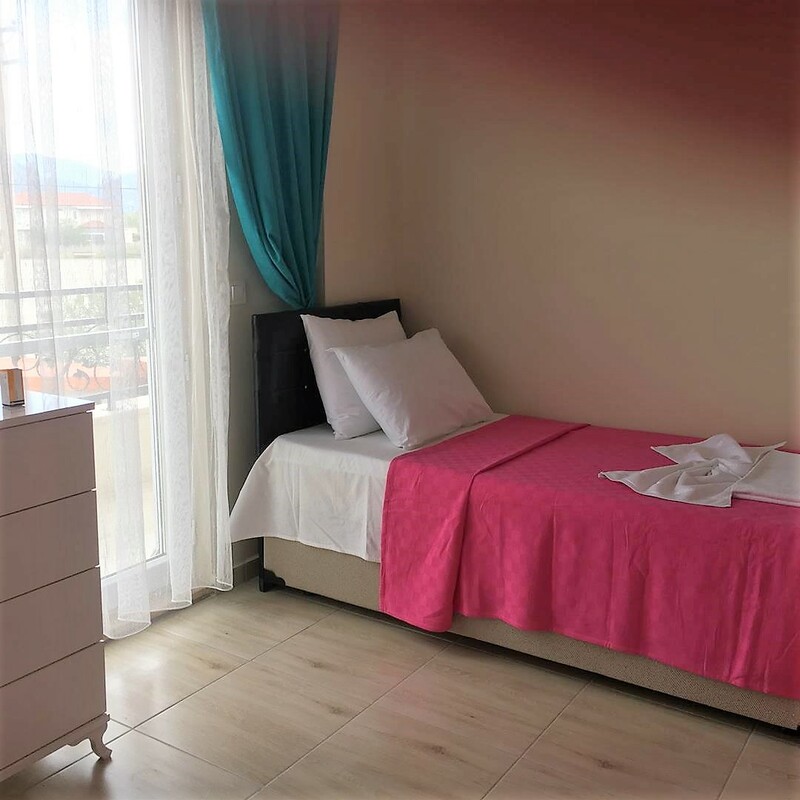 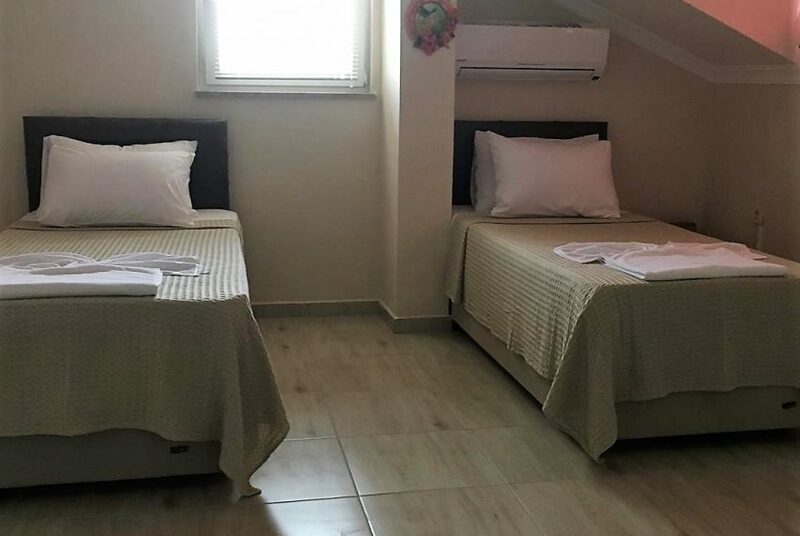 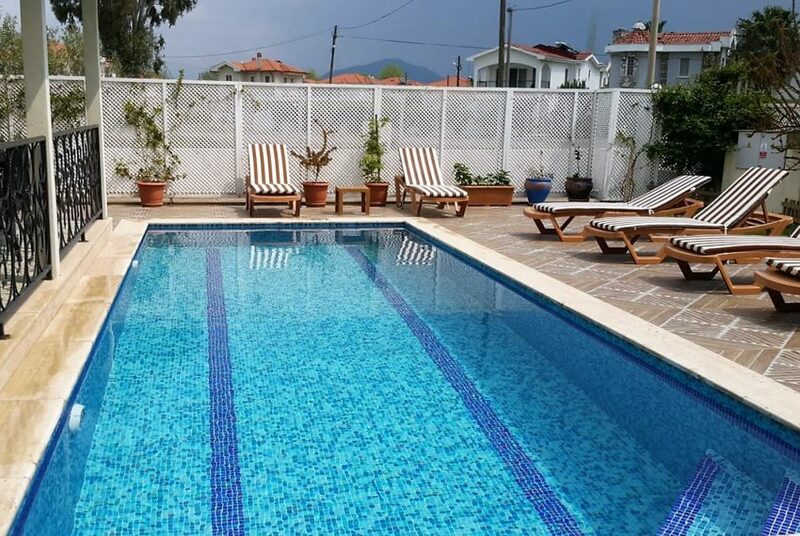 This rental property has everything you need for a great holiday in Dalyan. 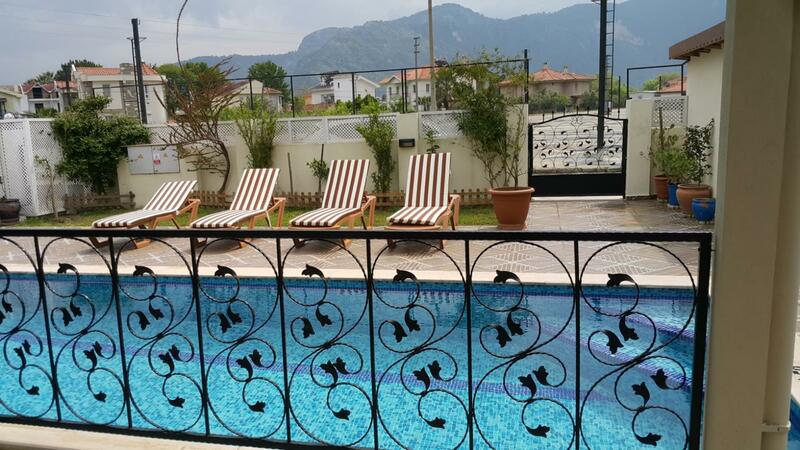 The outside area has a private pool and much privacy from the road and passers by. 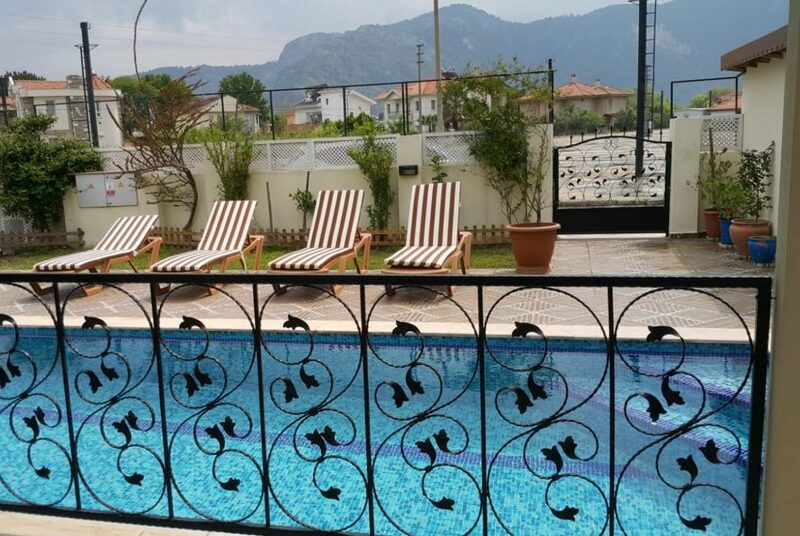 There is a lovely shaded terrace area and ample sunbathing space. 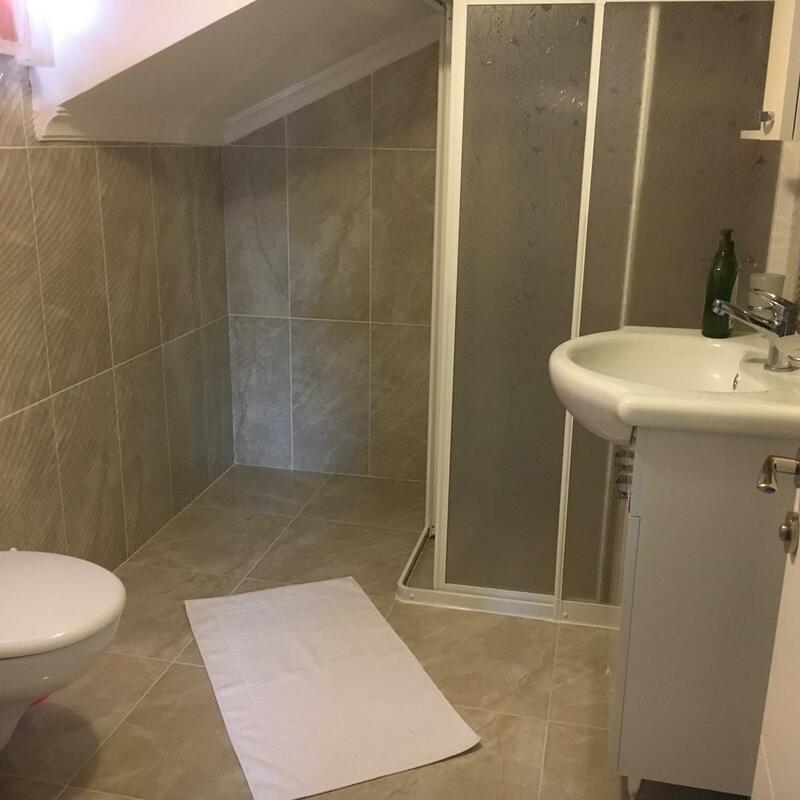 There are 4 spacious bedrooms all being en-suite and the added bonus of a ground floor bedroom. 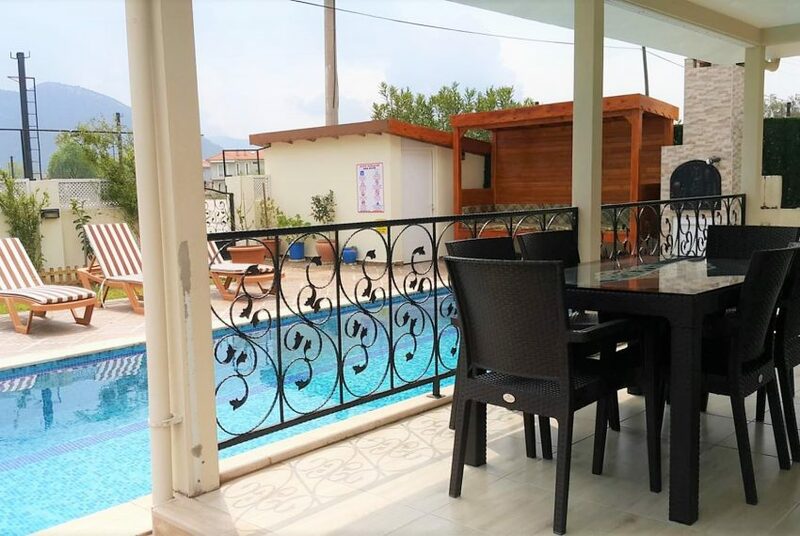 There is a open plan lounge and kitchen and air-conditioning throughout. 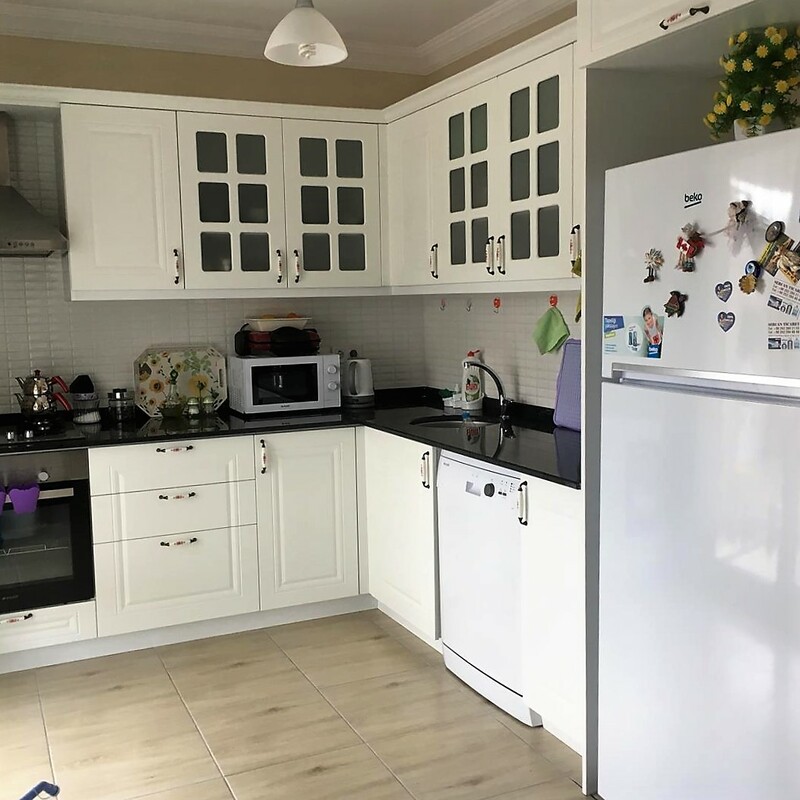 Modern fitted kitchen has everything you need for all your nights in should you decide to dine in. 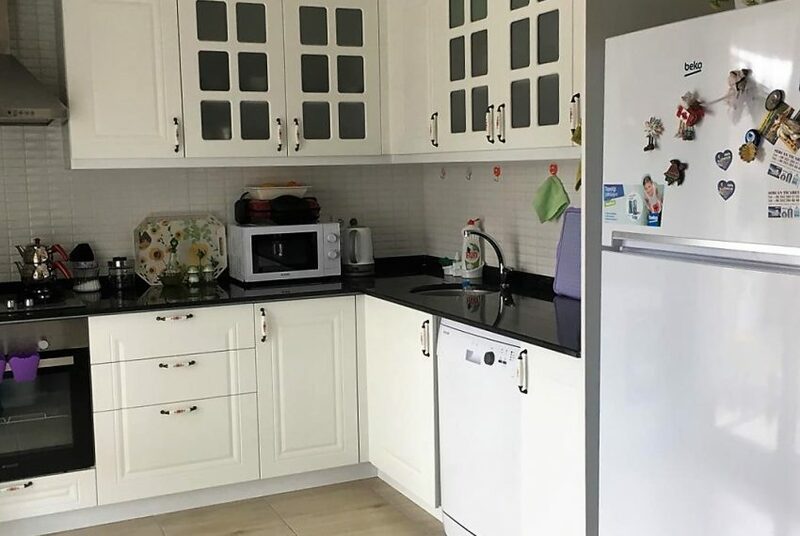 There is a microwave, toaster, fitted oven/hob and large fridge freezer. 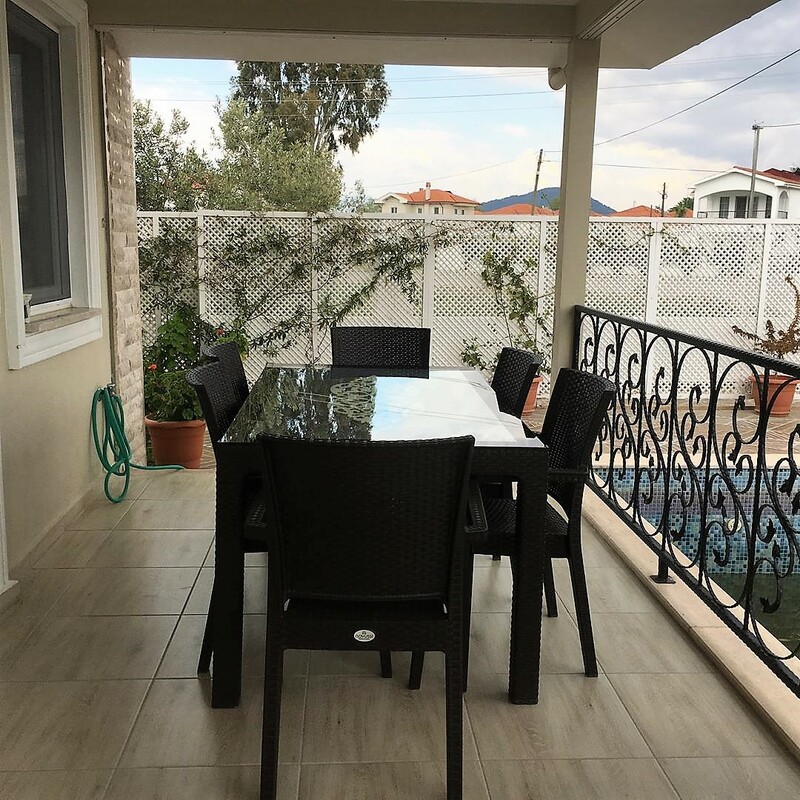 The balcony door leads out to the large seated terrace which is great for all your al-fresco dining. 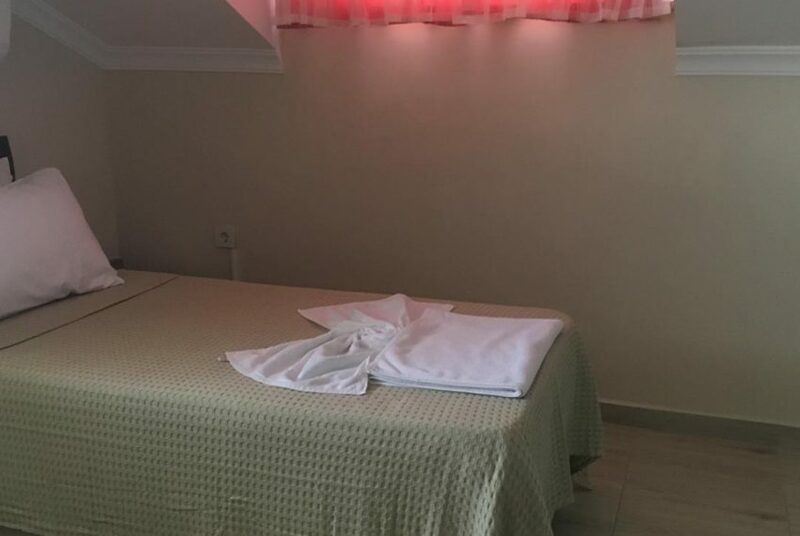 Spacious Bedroom with double beds, dressing table and fitted wardrobes. 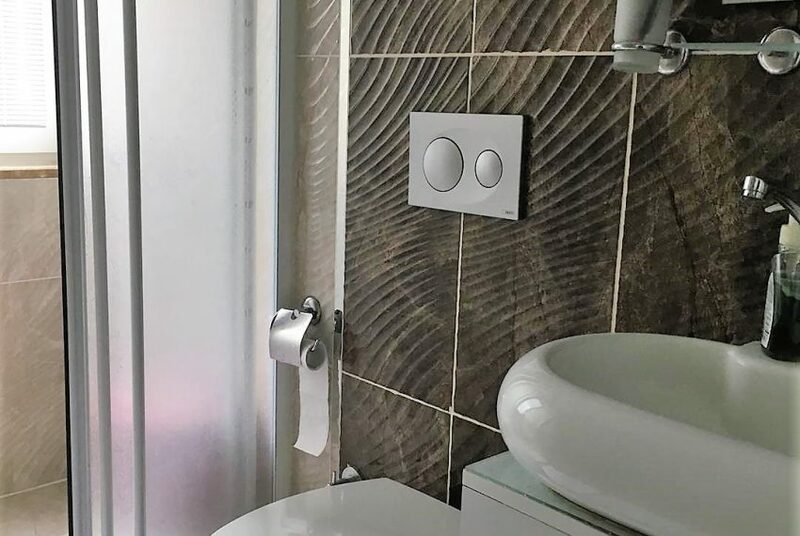 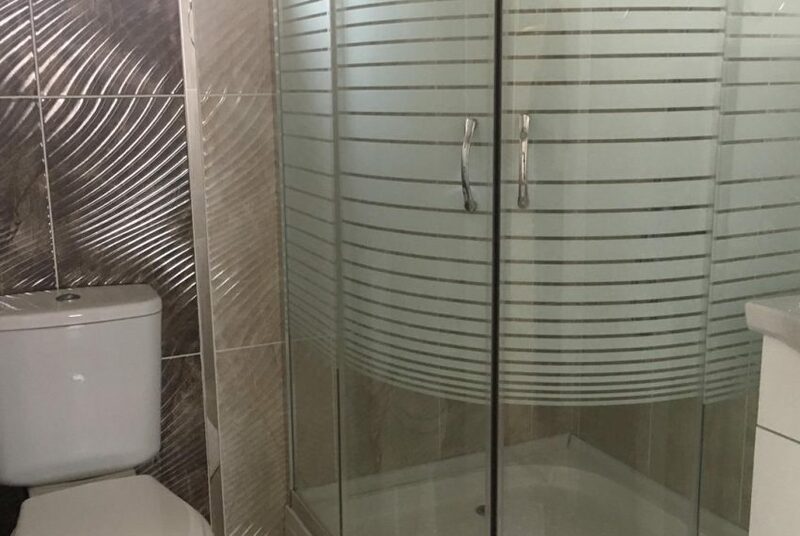 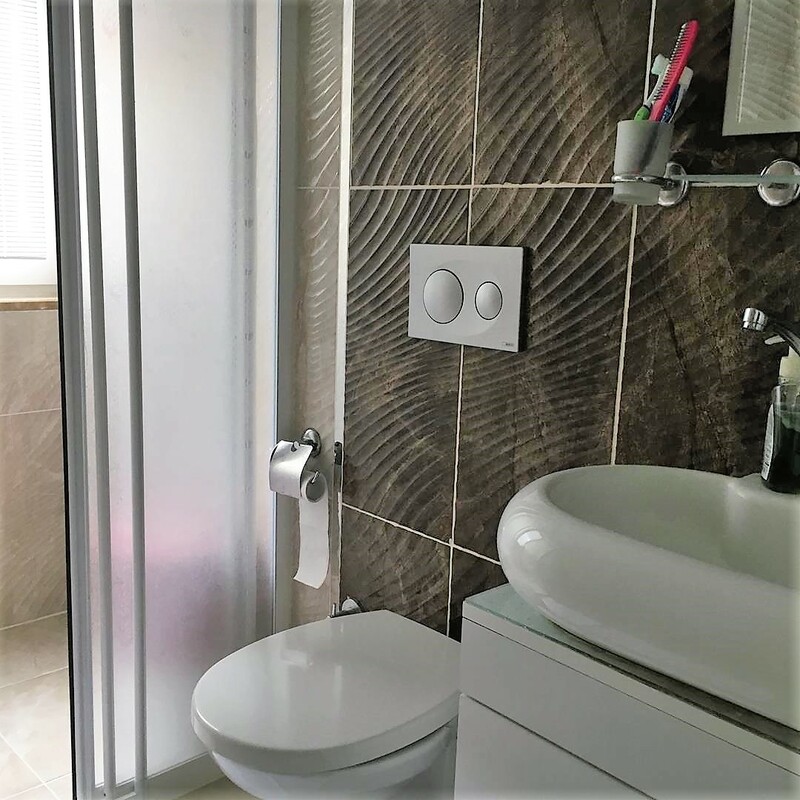 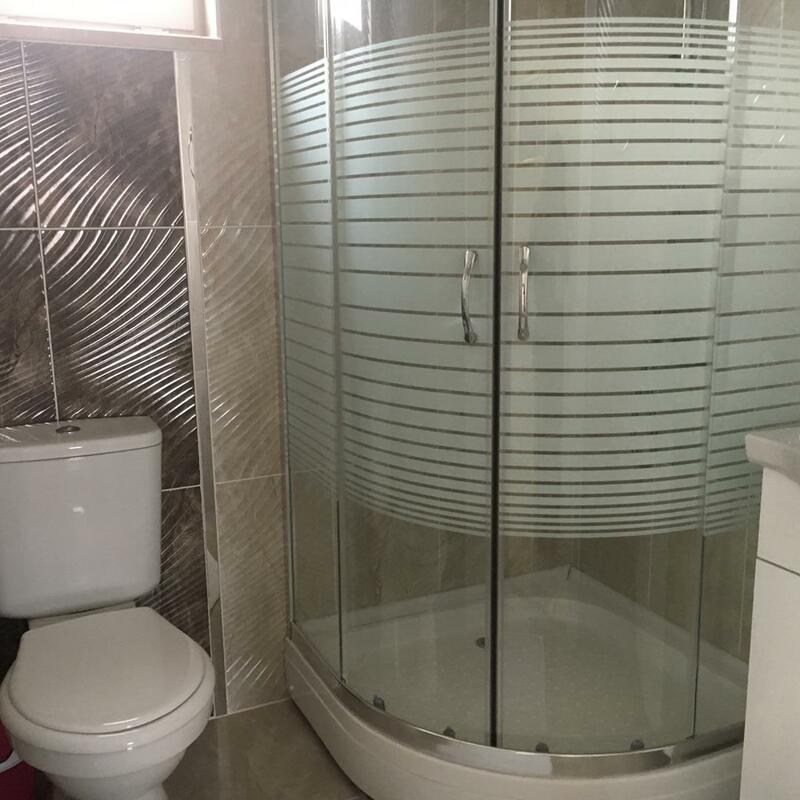 Bathroom has shower cubicle, WC and hand basin, vanity unit and mirror. 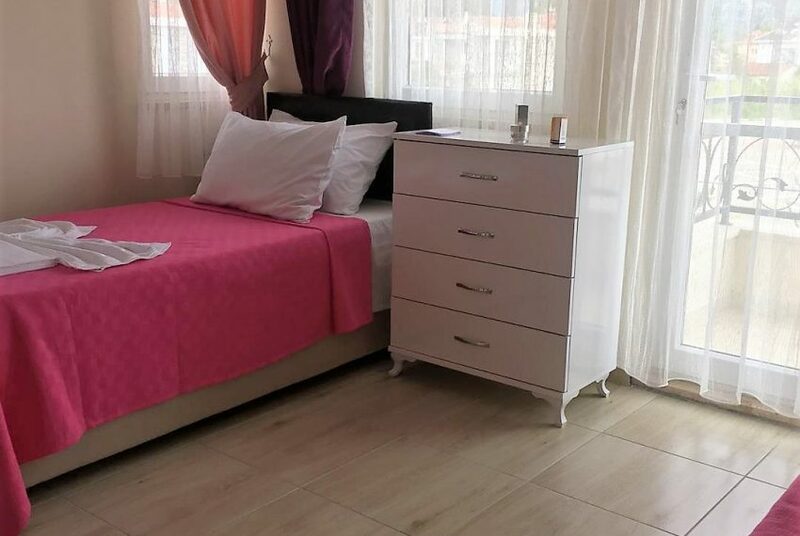 A spacious room with double bed, fitted wardrobe, bedside cabinets and chest of drawers. 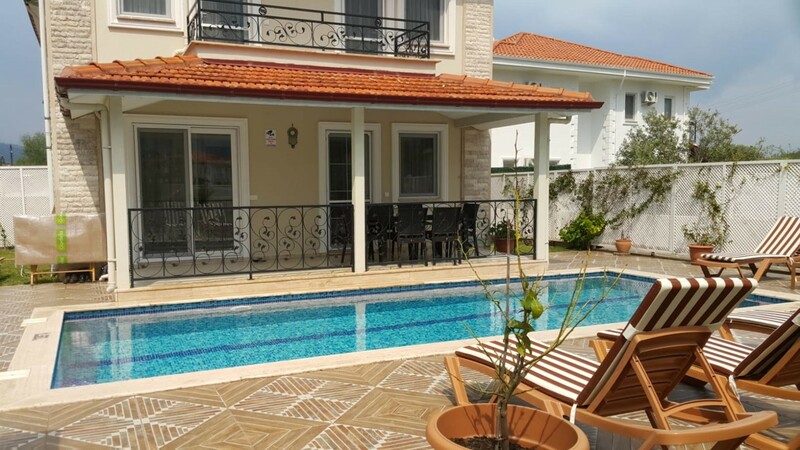 There is an air-conditioning unit and patio door that leads out to seated balcony overlooking the pool and gardens below. 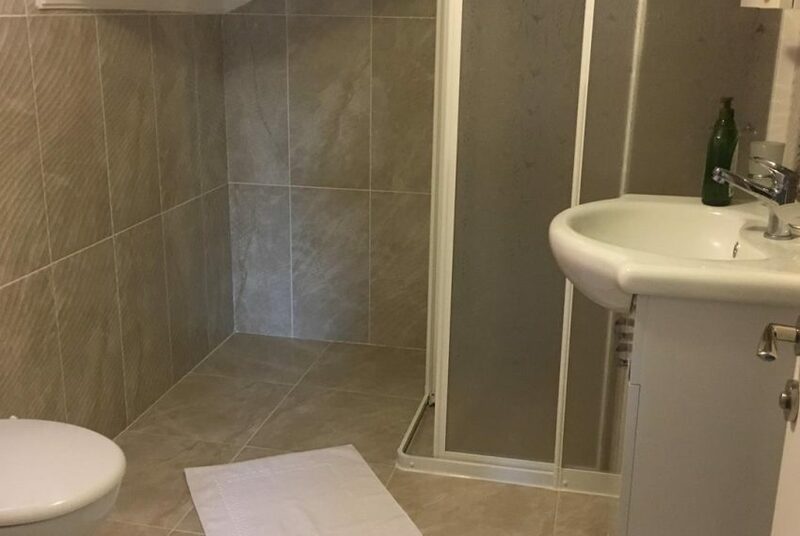 En-suite bathroom has WC, hand basin with mirror and shower cubible. 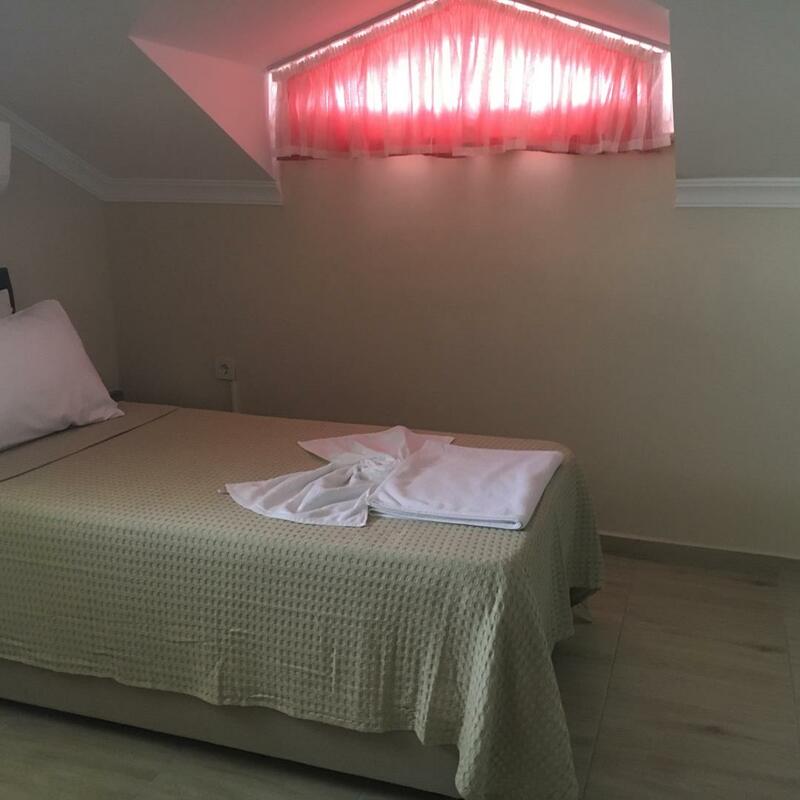 Bedroom has twin beds with bedside cabinets and fitted wardrobe, this room is has an air-conditioning unit in place. 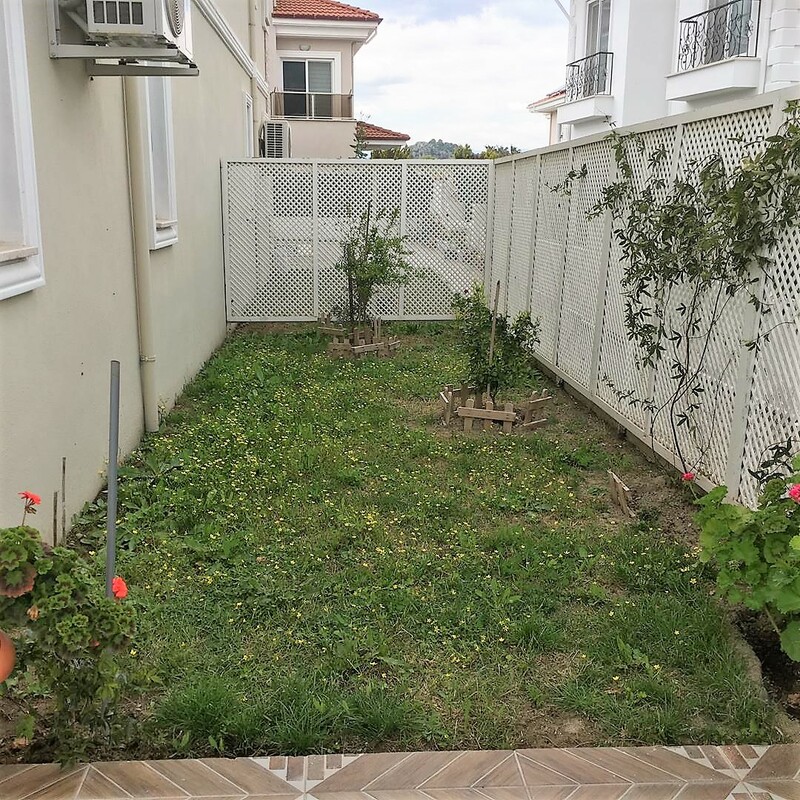 The gardens are completely walled and private from the road outside. 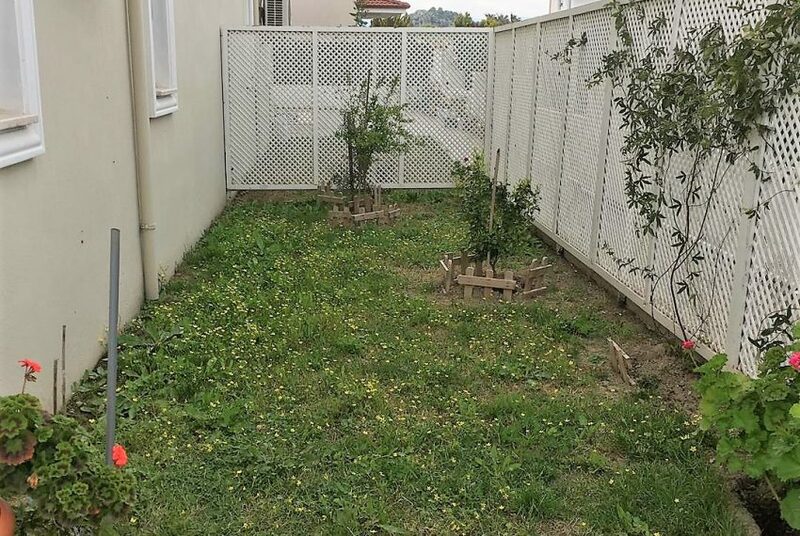 The established gardens have many trees and plants. 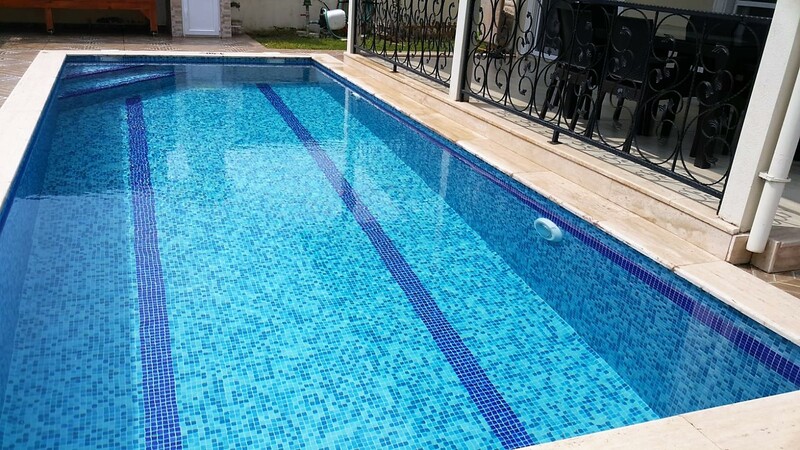 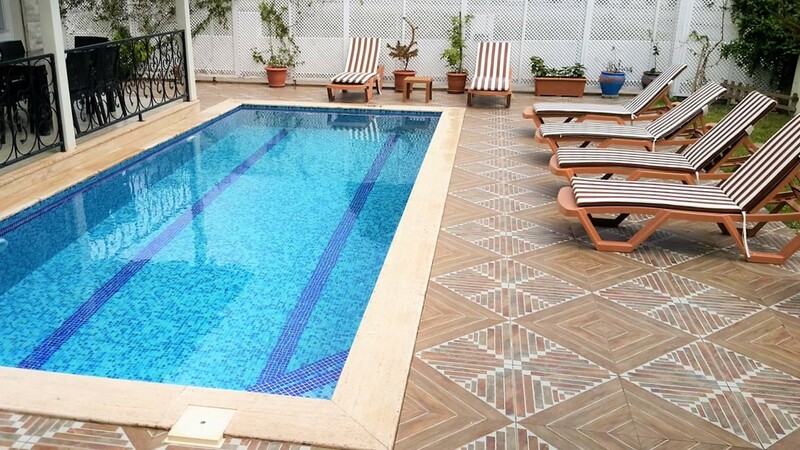 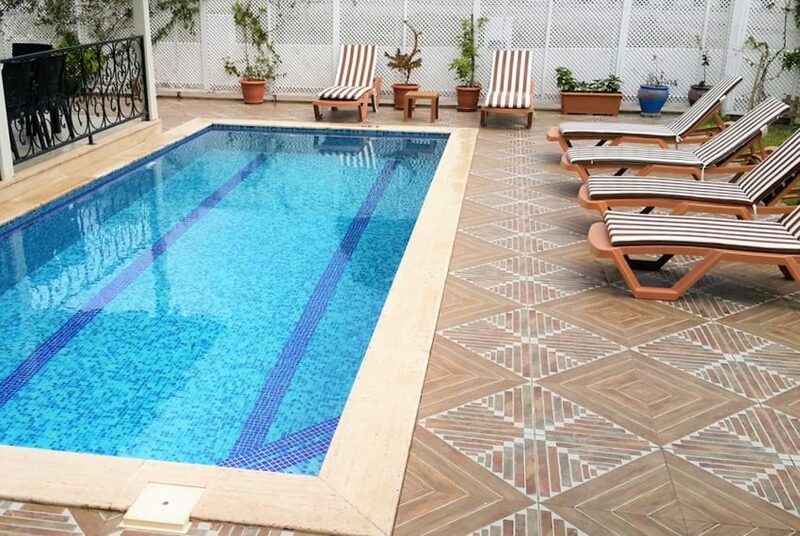 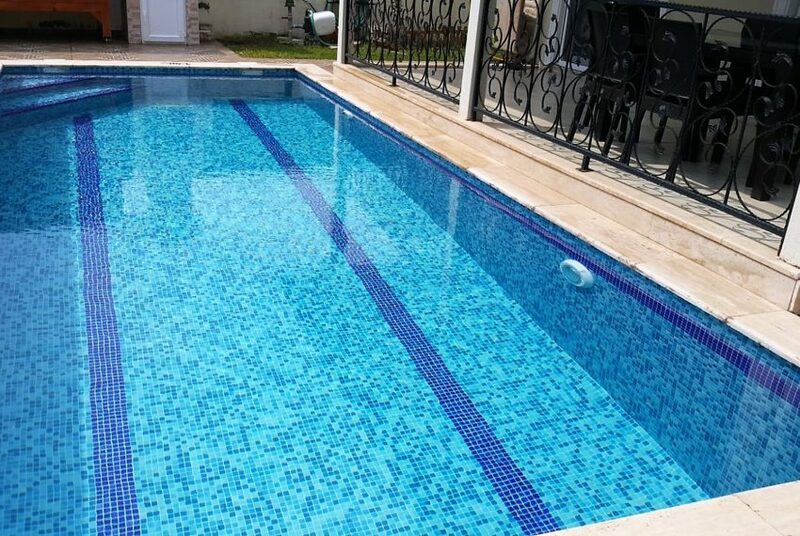 There is a 32sqm pool pool and ample space for sunbathing. 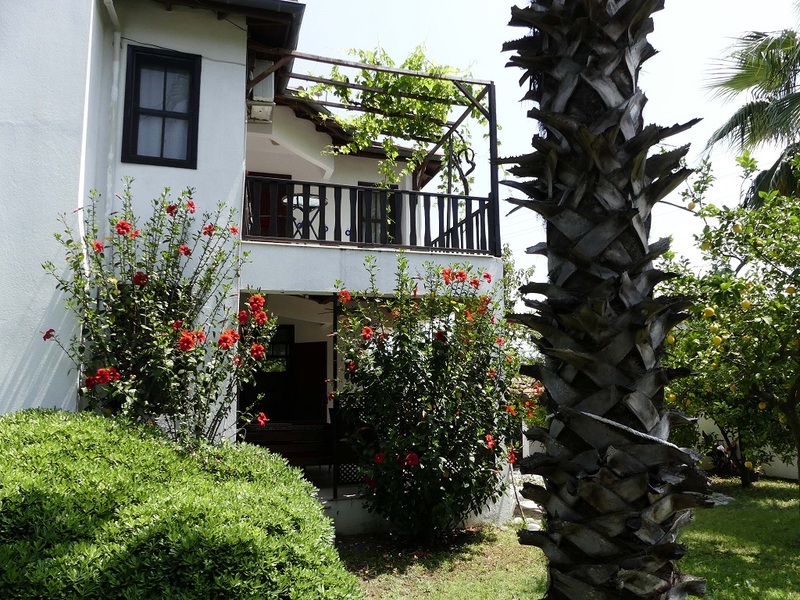 There is a lovely covered balcony with steps leading down to the garden area. 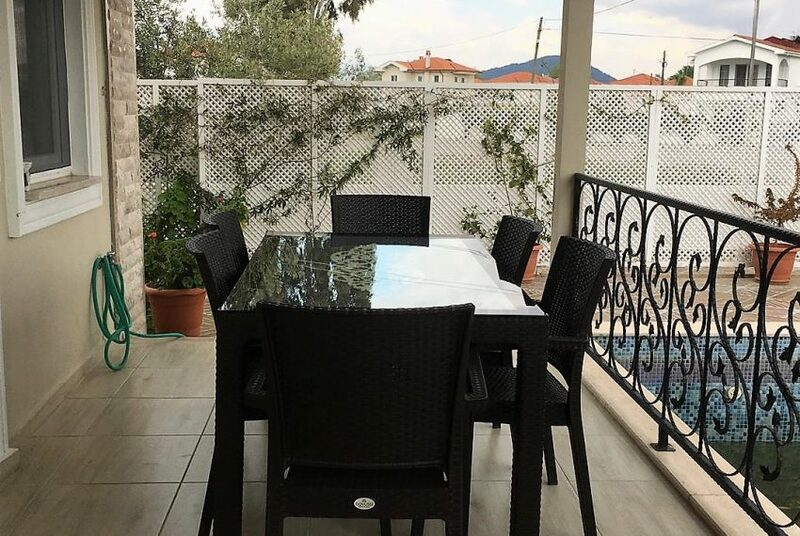 This beautiful space is great for sitting and watching the sun go down or alternatively there are patio table and chairs for all your al-fresco dining. 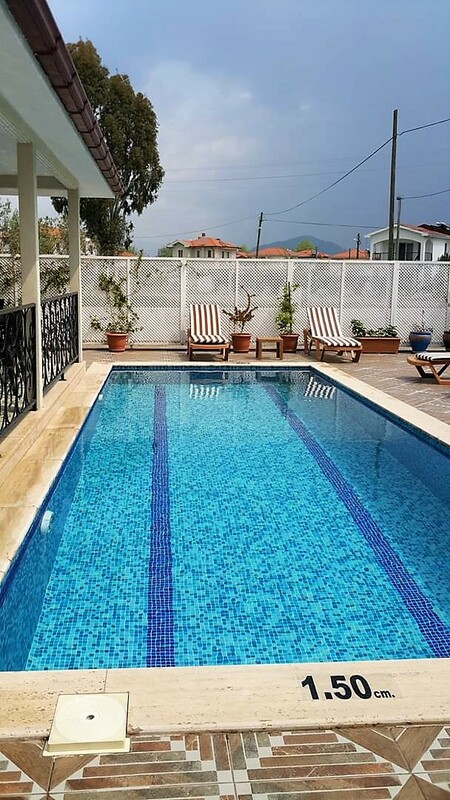 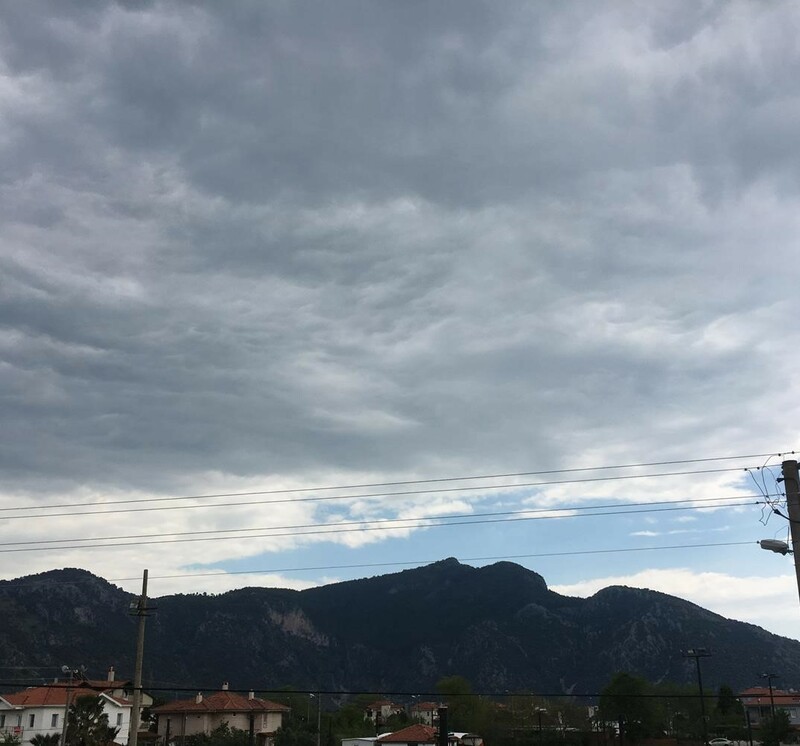 Being just a short 5 minutes walk to the centre of town and set down a quiet road we would highly recommend Villa Carin for your holidays. 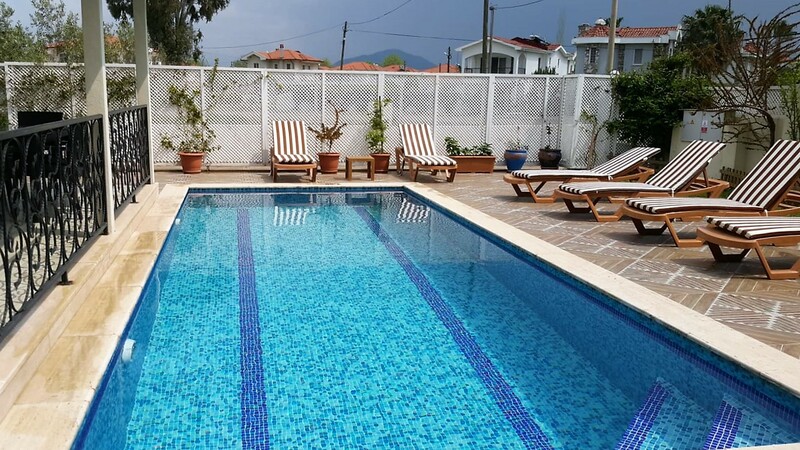 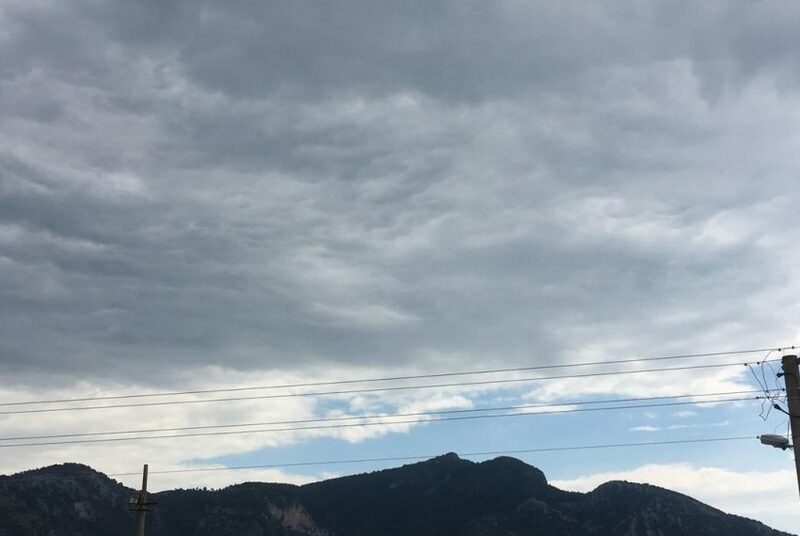 A lovely rental property in a great location.